On Sale Now! 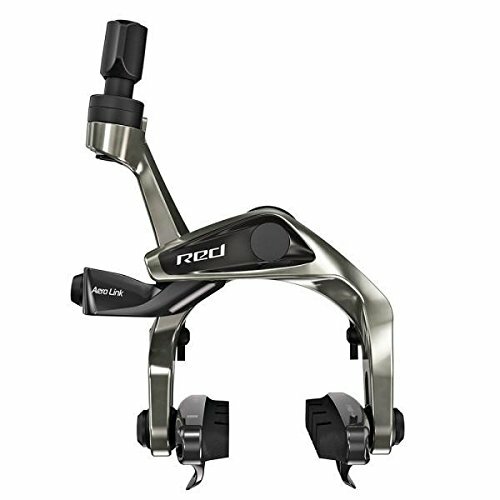 Save 5% on the SRAM Red Front B2 Brake by SRAM at Joes V Cycle. MPN: 00.5118.014.000. Hurry! Limited time offer. Offer valid only while supplies last. Security at your fingertips with a fresh look to compliment SRAM red etap componentry. Sram red brakes won't slow you down. Until you're ready. Security at your fingertips with a fresh look to compliment SRAM red etap componentry. Sram red brakes won't slow you down. Until you're ready. That's why the SRAM red brake set has been created with a host of wind-cheating features to make the brake body more aerodynamic, helping you keep your speed until the moment you're ready. The patented aero link arm reduces frontal area while improving braking performance and modulation. The brake body, with updated graphics, has been sculpted to provide a sleek aerodynamic profile to the wind. Even the smallest details, like the barrel adjuster, point away from the wind. And to finish off the package, Swiss stop Flash Pro pads come standard with the brake. It's a better brake in every way.